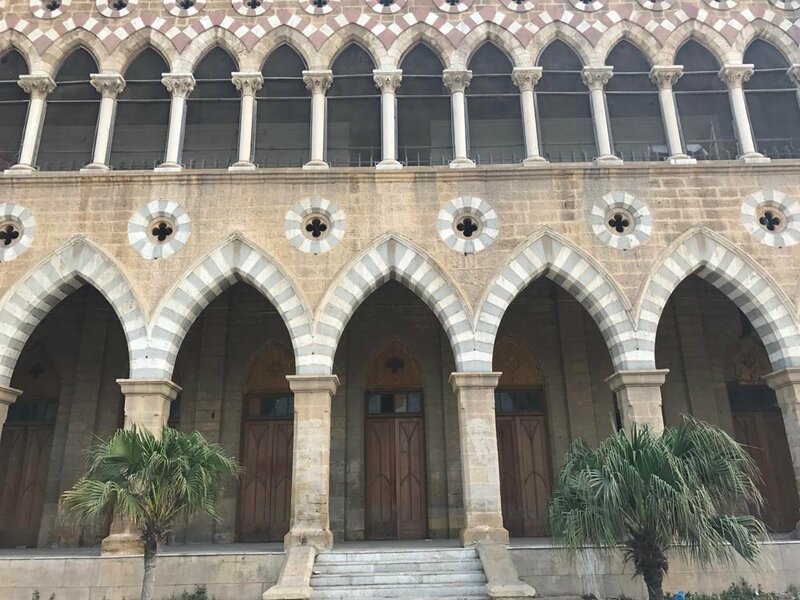 KARACHI: Frere Hall, one of the most iconic buildings in Karachi was built in British Colonial era. 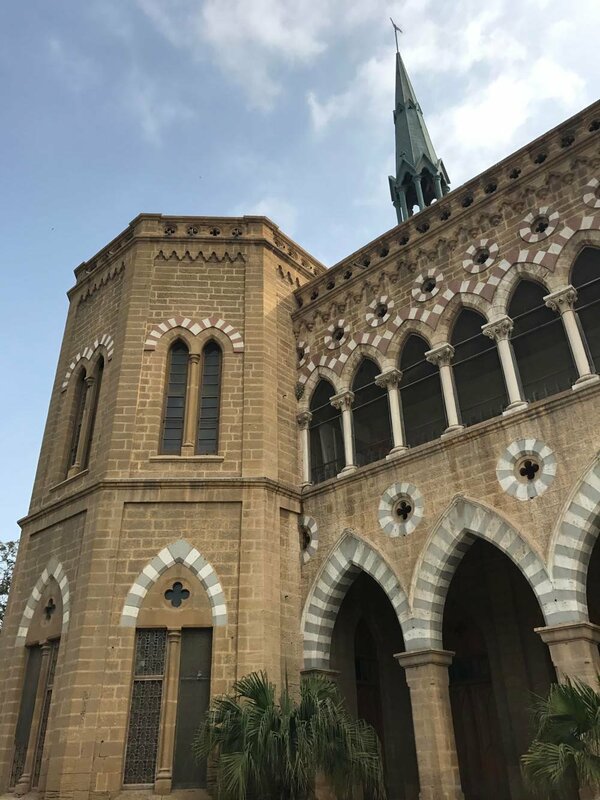 It was built in honor of Sir Henry Bartle Edward Frere, a British national who is known for promoting economic development in Sindh and also remembered for making the Sindhi Language compulsory in the province instead of Persian. 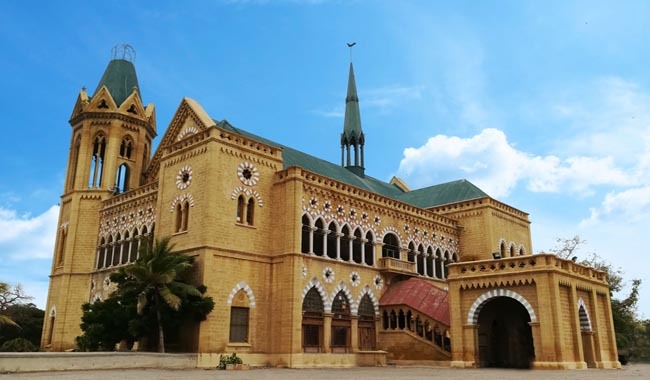 After the British rule, Frere Hall was turned into a library which is currently known as Liaquat National Library. 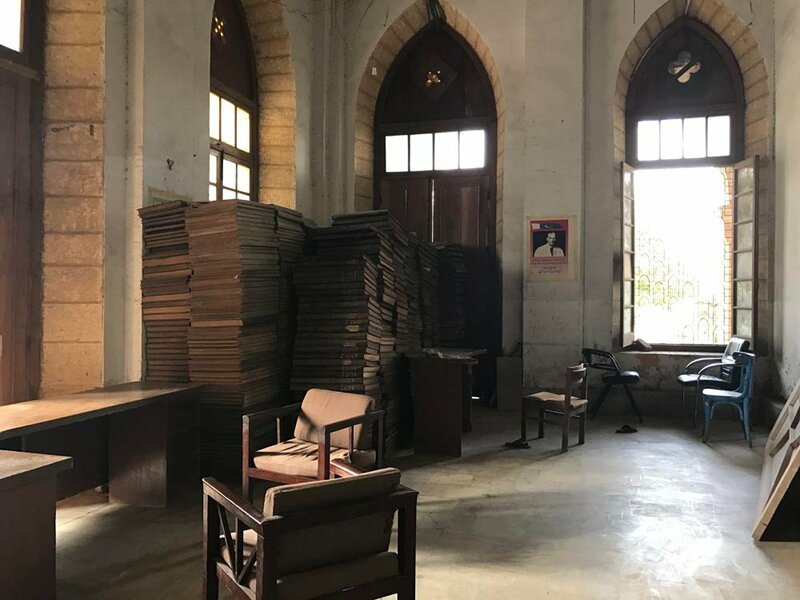 This library is believed to be the biggest in Karachi, containing 70 thousand books including rare hand written manuscripts. Frere Hall is still open for public as a library for all. But unfortunately, the building seems to have now become just another prison for the books since no one comes to the library with the purpose of reading. Even before one enters the Frere Hall, one can witness a number of students in their uniforms with their bags and notebooks talking outside the library, giving a sense that they are doing some schoolwork.But, these students are not here for the love of the books, instead most of them were found bunking their schools and colleges. 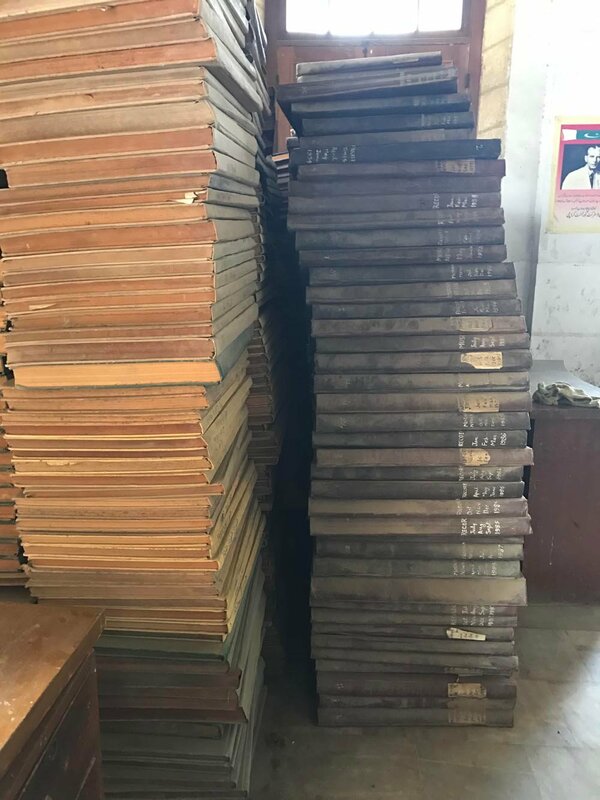 With no one making his/her way into the national library known for its vast collection of books is now in its worst possible condition. It is all left with broken benches and the cobwebs covering doors and the books. 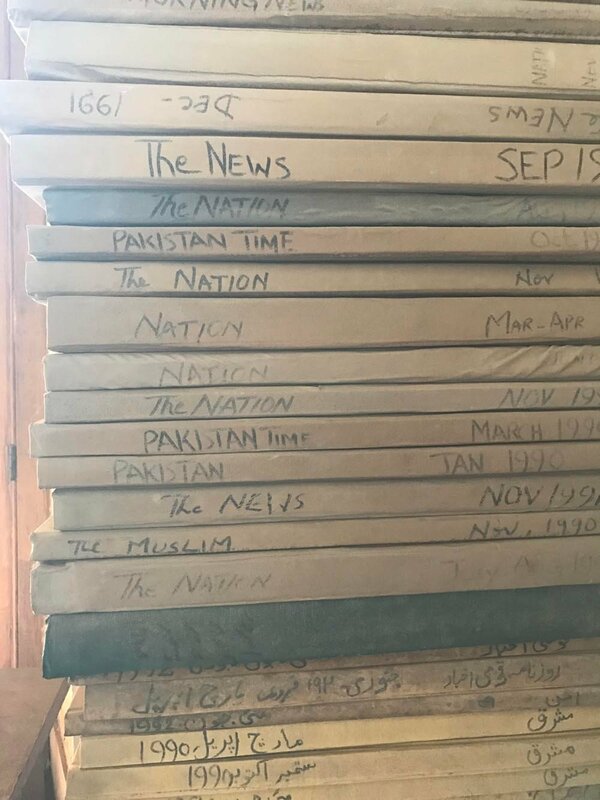 “We have books that are not available anywhere else in Pakistan and our borrowing procedure is also extremely simple, but sadly it’s been long since a student actually came to the library with the thirst of knowledge or to borrow books” said the librarian. Looking at the state of the Frère Hall, all the inquisitive readers leave the place with a heavy heart. 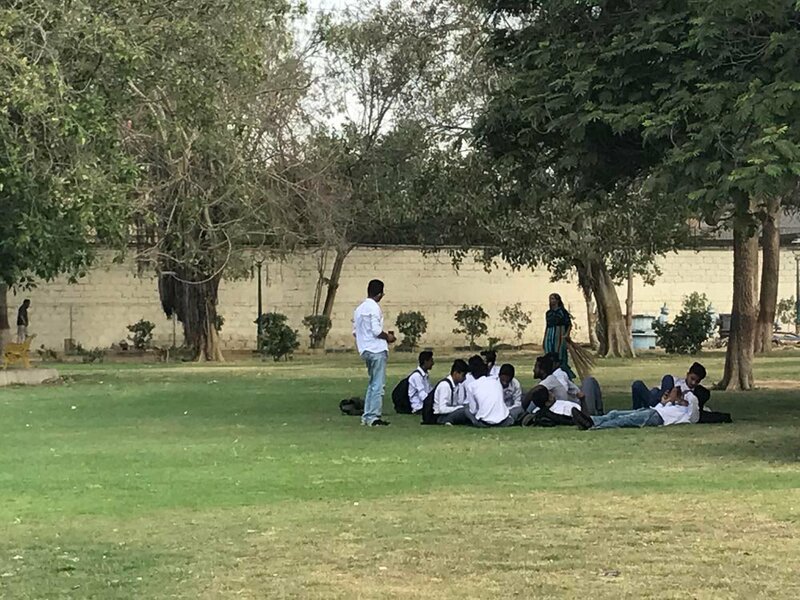 Though library is full of books on Urdu and English literature, politics, science, history, culture, arts, economics, but they are all gathering dust because almost all of the students come here just to bunk school or to hang out. Frere Hall at the present is just known as a monument or as a place for events, model shoots and wedding photography.